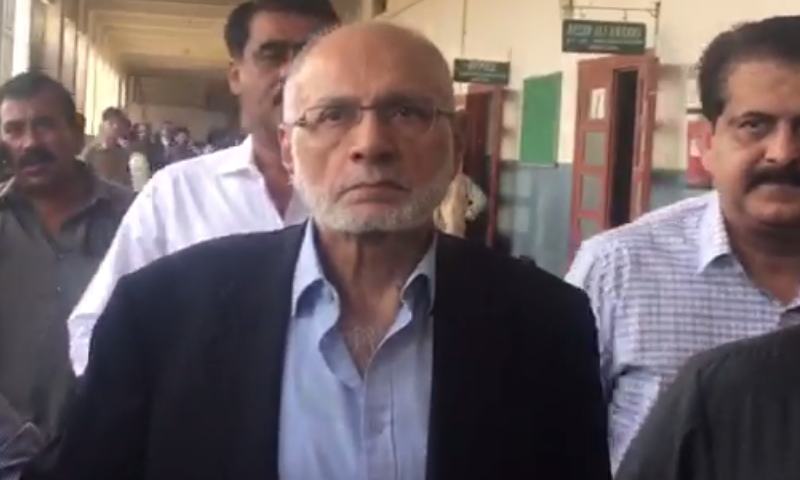 A judicial magistrate in Karachi on Saturday remanded Pakistan Stock Exchange Chairman Hussain Lawai and co-accused Taha Raza in the custody of the Federal Investigation Agency (FIA) until July 11 in a money laundering case. On Friday, the FIA had detained Lawai and Raza, accusing them of facilitating the opening of 29 ‘fake’ accounts in the Summit Bank, Sindh Bank and United Bank Limited. 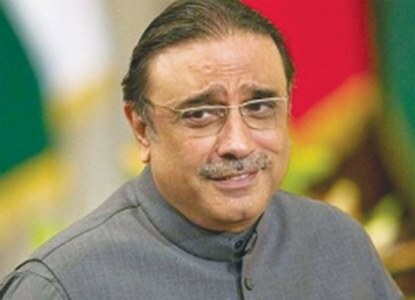 According to the FIR registered against Lawai and Raza, billions of rupees were deposited into the said fake accounts and subsequently transferred to different accounts, including that of PPP Chairperson Asif Ali Zardari and his sister Faryal Talpur's company — Zardari Group — which is shown to have received Rs15 million. 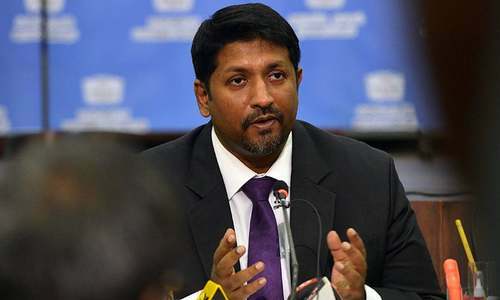 As per the contents of the report, a copy of which is available with Dawn.com, the biggest transfer made out of the alleged fake accounts was to an Arab national, Nasser Abdulla Hussain Lootah, who is the chairman of the Summit Bank’s board of directors. Agro Farms Thatta, a reported holding of Zardari's close aide Anwar Majeed, is also mentioned as one of the beneficiaries. The FIR stated that the accused bankers "opened fake/forged accounts by fraudulently fulfilling the codal formalities i.e. obtaining signatures". 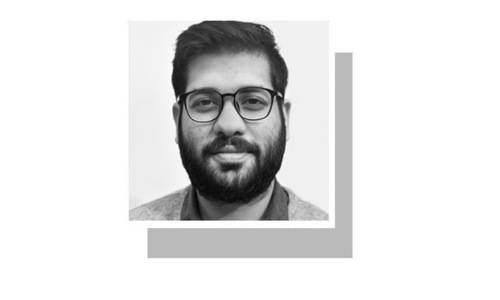 Furthermore, it alleged that a sum of Rs4.5 billion was credited and routed through the accounts during a span of 10 months. The FIA identified Bahria Town Karachi and Omni Pvt Ltd among the 15 parties that had made deposits totaling Rs2.855 billion into the aforesaid accounts. The FIR said that the beneficiaries into whose accounts the monies were routed have been issued summons. In a brief chat with media personnel, Lawai maintained his innocence and said he would ask for relief from the court on account of his medical condition. "I have nothing to do with this case. Nothing has been recovered from me," he said. "This case is about money laundering; those who did this [money laundering] are abroad, and I have been accused." "I am a heart patient. I will also ask the court to give me medical relief," he added. When asked if he had been arrested due to his rumoured friendship with Zardari, Lawai said: "I do not know if I have been arrested because of Asif Ali Zardari or something else. Only time will tell why I am being targeted." Lawai, who is currently the vice chairman of the Summit Bank, also served as its president from 2008 to 2016. He previously served as the Central Depository Company (CDC) chairman as well. He held the position of president and CEO at the MCB Bank and holds the distinction of establishing the Faysal Islamic Bank, Pakistan branches; the first Islamic Shariah Compliant Bank (presently known as Faysal Bank Limited). He also served as general manager at Emirates NBD Bank for Pakistan and Far East. 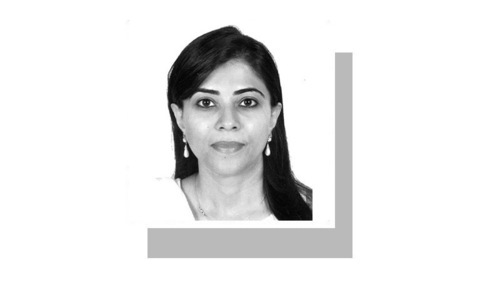 Currently, Lawai is also on the board of directors of Wyeth Pakistan Ltd, GlaxoSmithKline Pakistan Ltd, GlaxoSmithKline Consumer Healthcare Pakistan Ltd and The Searle Company Ltd. He also serves on the Board of Governors of Karachi Grammar School and Virtual University of Pakistan. He also served on the board of directors of Pakistan International Airlines and State Life Insurance Corporation of Pakistan. He did his MBA from the Institute of Business Administration (IBA), Karachi. 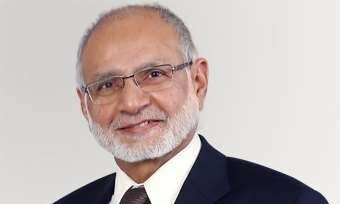 Mr.Hussain Lawai, be honest and open your mouth about the corruptions of Zardari as he is not going to help you now and will deny everthing. A banker of exceptional qualities. If he was indulged in activities that are illegal, I will be disappointed. The biggest enemy of Pakistan is corruption, this enemy has be be defeated across the board with an iron hand. Nip the corruption evil in the bud by catching all big fish of corruption in the Islamic Republic of Pakistan. So my question is when are they going to arrest Zardari? does he have some kind of Amnesty? The State authorities must act ruthlessly and tighten the noose against all corrupt either in politicians or bureaucrats and put them behind bars and award them exemplary punishments. The action should not be limited Nawaz Sharif, otherwise, it will amount to political victimization. Mr. Zardari and his cronies including Bahria Town Chief Malik Riaz and others have plundered national wealth and amassed billions of rupees, must be brought to justice, so that anyone who thinks of making corruption, should take a lesson from the fate of corrupt people. The judiciary and army should express their open commitment to the people of Pakistan that there is no place for corruption in our beloved country. @Mansur Ul Haque You do know bankers are called banksters for a reason. Historically they have been notorious for a reason. Google it for a reason. I don't know why people deride the petty thieves so much. 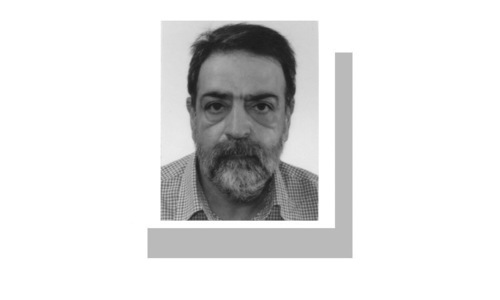 when will FIA arrest bilal sheikh? Now where have we heard "close aid of Zardar; corruption". Nothing came out of past cases. Stop fooling the poor nation. If u r innocent then how that much money was laundered and u never report it. No tell about the real culprit. @Fairplay Just a little patient, AZ is going to be arrested. Just like NS was given about 2 years to give proof of his wrong doing AZ will be given sometime to prove himself non-guilty but eventually he will be jail. Even a day would be enough for him to spill beans. @Fairplay Let’s see when Zardari tries to sneak out of country within days and stopped at Airport! Yes, I am innocent until remand people working on him then he will tell everything “I am heart patient” you should have thought before getting into helping money laundering for our corrupt leaders. Last 17 years whoever took leadership role to run Pakistan made billions at the cost of poor public’s accounts and that includes Nawaz Sharif, zardari and Mushraff. How Mushraff is living in exile a lavish life style? They all to be prosecuted for justice to our poor citizens. Get Zardari before he kidnaps Pakistan again for next 5 years, he is your main person. Please have mercy on Pakistani, get these criminals in jails. It is about time to hold Zardari and co liable for their loot, corruption and blood shed in the country! A disgrace to the nation Abetting money laundering is a crime in itself Why seek sympathy now on medical grounds ? Those who investigate corruption are not less corrupt then the one who is accused. I feel disappointed when people like these are involved in corrupt services. But I guess this how people change. I'm full of hope these days. Finally actions are being taken on these termites that have made the country's average folks suffer for far too long. Everyone claims to be innocent and Honest in Pakistan, yet 100s in leadership/Politics living a lavish life way beyond their income and means. How? Zardari has been in trouble either Dr. Asim was arrested or Mr. Hussain is caught now, but the irony is Zardari has never bee caught. What a magical wand he has. @Mir Every time you catch a crook, immediately he gets a medical problem. This fellow to probably made big money assisting criminals 'partner in crime', now he wants to become 'Mr. Innocent'. That how system runs in Pakistan. No wonder there is no progress in the country. Hussain Lawai a banker , without the help of big bankers these bigwigs can't launder the money. NAB better investigate him thoroughly. If our justice system works the way it should, if our judiciary has been working the way it is now then we could have not been in this mess. OPPORTUNITIES make people commit frauds. Nawaz Shreeif did a brutal job by destroying our institutions. No wonder that him, his family and close relative like DAR were able to steal our wealth and ran away to England. Ex PM Abbasi is as responsible for corruption. Abbasi provides airplan to DAR to get away to England. Shame on him . Spent while life working and at this age now facing allegations . Hold him in class c jail for two months and see what comes out of his mouth. He will break down and spill the beans on all his scams. @My Advice - Your comments are commendable. But i think, on the same subject, we should suggest that the SC establish a medical center. specializing in cardiology, adjacent to it's facility, so that the 'fake' medical cases are investigated by a panel of neutral, independent doctors, and from there sent straight to Adiala. My strong advice to the NAB/FIA and other investigating agencies is, that, the moment a suspect is identified, he should immediately be put on ECL so that their routes of escape from the country are closed. One more suggestion, which i don't think the authorities will have the guts to carry out; and that is, to have a public gathering of the poor masses of Pakistan, in an amphitheater, where these corrupt enemies of the country are produced, handcuffed and bound and thrown to the mercy oft the masses like the gladiators were treated in Rome in ancient times!!!! Please save Pakistan , the love for this land is so immense that we left everything and migrated to Pakistan , so many people sacrificed their lands and holdings , to come to Pakistan , their lives and their honor , only for Pakistan , we the people of Pakistan must root out corruption and let Pakistan breathe again .Pakistan Zindabad. Clearly this man got used by Zardari. He himself possibly made good perks and is now in trouble but the ultimate beneficiary Zardari stays clear and clean. Now the other big fish coming to the net. Arrest all who has not returned loans including chaudhary of Gujrat and conficicate their properties and deposits looted money into treasure. He on his cannot be a wrong doer unless under duress. When Nab will arrest Gul Hameed Khan Rokhari the most corrupt Nazim of Mianwali and ex Minister of Revenue Punjab and his son Humair Khan Rokhari ex Nasim of Mianwali. They are getting open kick back from all department and staff. He has allotted to himself so much Government Land during his Ministry. Under PML (N).His son is openly admitting that he have does less than 1 billion RS corruption during his Nasim post and not not above 1 billion Rs.Poor peoples of Mianwali are forced to pay bribes to each department head which turn around and pass money to Nazim for providing this posting. When people in Pakistan reaches age 55 and above they grow beard to reflect an Islamic persona. But instead they are devils and untrustworthy. So is is guy now telling he is innocent. Well if physical remand is executed on him properly then he will divulge each and ever detail within 1 day. Heart patient, medical help, these things are forgotten when a man is on seat but when law comes into action then everyone remembers. Moreover, being a heart patient, why is he not helping the law agency to catch the real culprit. Why my comments are not showing ? On Friday, the FIA had detained Lawai and Raza, accusing them of facilitating the opening of 29 ‘fake’ accounts in the Summit Bank, Sindh Bank and United Bank Limited. He is the only one,the list is long of such people and Banks . He held the position of president and CEO at the MCB Bank and holds the distinction of establishing the Faysal Islamic Bank, Mansha is one of his offspring's. Folio3 is a company doing overseas business transactions and lucrative transfers of foreign exchange, controlled by his son 'Adnan Lawai'. They got a sweet-heart loan deal to purchase huge campus building on Shahrah-e-Faisal, with bank's money, with insider help. Next year they expanded and acquired another building. They pay close to zero taxes, using IT company exemptions. Don't worry the man is coming to defeats this black ship people. Imran khan is the hope of pakistan.